I was looking at this https://en.wikipedia.org/wiki/Mars#/med ... _color.jpg true color picture of Mars and in SE the planet is a more toned down color, more orange than red. Does anyone know how to modify the color scheme to look more like that picture? To do that, you have to modify Mars textures. 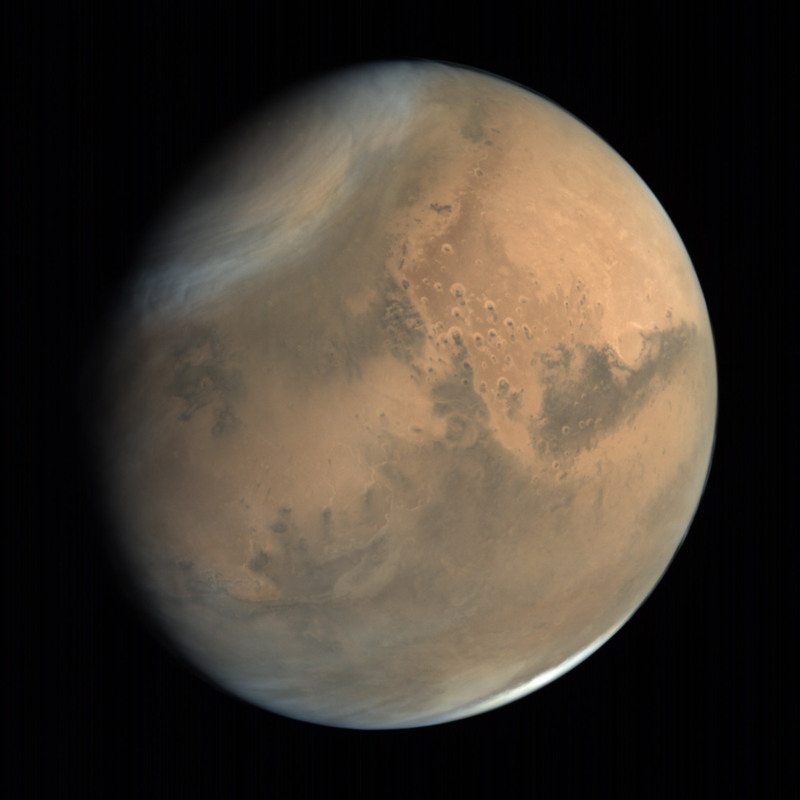 So in effect, Mars in SpaceEngine looks exactly as it does in "real life" ? 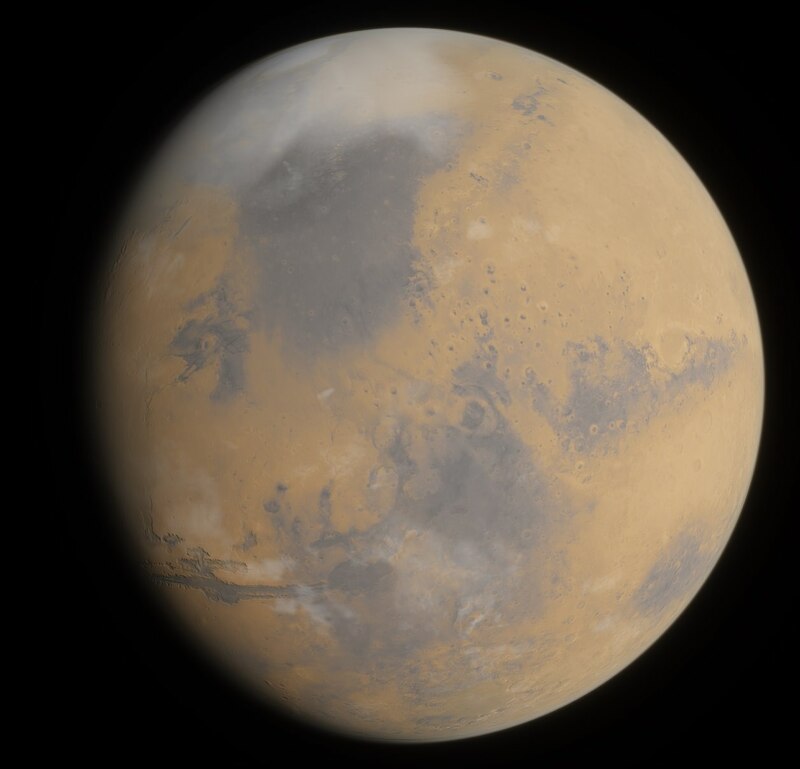 Source of the post So in effect, Mars in SpaceEngine looks exactly as it does in "real life" ? Yes, or about as close as it's possible to make it in the program currently (making Mars' atmosphere look like it does in real life is extremely difficult, because it's dominated by different types of scattering at different altitudes). As you can see, Mars is much dimmer than Earth because of the distances to the sun. I do not know if this is true in real life. I will admit, it's not quite as red as the image in the original post, but not as orange as the other picture. It's worth investigating. Hornblower, albedo and illumination are irrelevant. That small difference is trivial for cameras and the human eye to adjust to. You also seem to have image saturation or vibrance increased beyond the realistic baseline, which invalidates the comparison. Eyeballs have "rods" and "cones" with very different operating principles. Rods dominate under very low light, such as moonlight while cones dominate under bright light, such as sunlight. Rods respond to a range of shorter wavelengths, and since there is only one type, they do not yield color information like the three types of cones responding optimally to blue, green, and red. Also, because rods are rare at the focal point of the eye, low light vision is often blurry. Camera sensors do not vary in this manner. Mars is 1.5 times as far from the sun as Earth, so solar energy per unit area at Mars is about 48% that on Earth, ignoring atmospheric effects, but still considered bright at highnoon. At Saturn, 9.5 times as far, solar brightness is roughly 1% of that at Earth orbit, comparable to the level of sunlight on a moderately cloudy day. Sometimes, you get the best color photos on days like that. In addition to consider, your personal view is, well, unique. The brain processes data from the retina in a very complex manner, and the gradations of color can be person-specific. You'd also have on a visor if you were on the surface, hopefully. Camera photos from orbit are not taken inside an atmosphere or at highnoon either. And, of course, NASA doctors all their pictures. That was very illuminating (pun absolutely intended). Thank you. Source of the post And, of course, NASA doctors all their pictures. Except the raw ones. Regardless, images of Mars taken from orbit have come not only from NASA, but also from ESA, ISRO, and the Soviet space agency. Images from Earth showing the surface of Mars (and of course its color) have been taken by many people of many nationalities. I know you were just being informative, but some people might misinterpret that statement, so I wanted to expand on it.